America's favorite sports car returns for the 2019 model year with a classic revival of a past favorite known as the Mustang GT California Special. 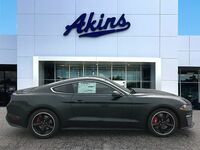 The new 2019 Ford Mustang California Special is a limited-edition model that offers you many of its original styling cues, the latest technology from Ford Motor Company and some very special performance features that help give it the superior driving dynamics you have come to expect from a Ford Mustang. The original version of the Mustang California Special featured a new rear fender, blacked-out grille, fog lamps and a side racing stripe. 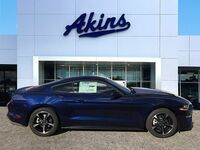 The new 2019 Ford Mustang California Special features many of the same styling cues as the original model so it can deliver its iconic look to today's drivers. 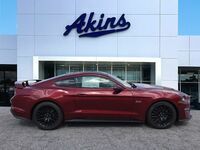 The 2019 Ford Mustang California Special in Atlanta, GA is a visual masterpiece and features the classic trademark fading stripe, a signature ebony black and race red script California Special badge on the trunk lid, a blacked-out open grille and unique five-spoke painted machine wheels. On the interior of the new 2019 Ford Mustang California Special you'll find custom embroidered GT/CS floor mats, black Miko® suede-trimmed seats with embossed GT/CS insignia and contrast red accent stitching, a 12-speaker 1000-watt Bang & Olufsen audio system, Ford's SYNC® 3 infotainment system, a 12-inch LCD instrument panel, Apple CarPlay™ and much more. 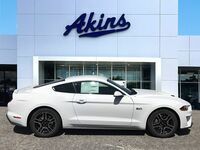 When it comes to incredible performance, the 2019 Ford Mustang California Special delivers. It uses a 5.0-liter V8 to give you 460 horsepower, 420 lb-ft of torque and a top speed of up to 155 mph. Performance features offered in the new 2019 Ford Mustang California Special include an active valve performance exhaust, rev-matching, 6-speed manual transmission and an available performance package. 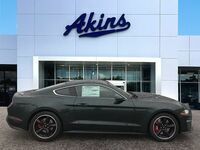 The 2019 Ford Mustang California Special color options include Shadow Black, Magnetic Gray, Velocity Blue and Need for Green.